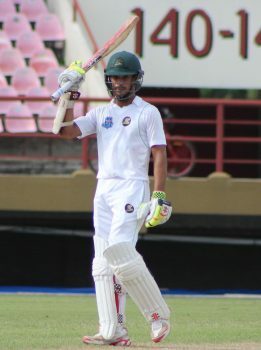 Much of the success of team sport is attributed to relationships that are formed and maintained off the field and with Guyana search for a fixed opening partnership after the axing of Rajendra Chandrika, Tagenarine Chanderpaul and Chandrapaul Hemraj are now both focused on making the opening positions their own. The two players, who are relishing the opportunity of batting together, addressed one of Guyana’s deficiencies in the early rounds of the tournament by posting Guyana’s first opening century stand of the season against the Barbados Pride. Hemraj and Chanderpaul as some would say, are perfect for each other as was evident during their 115-run stand Friday last. 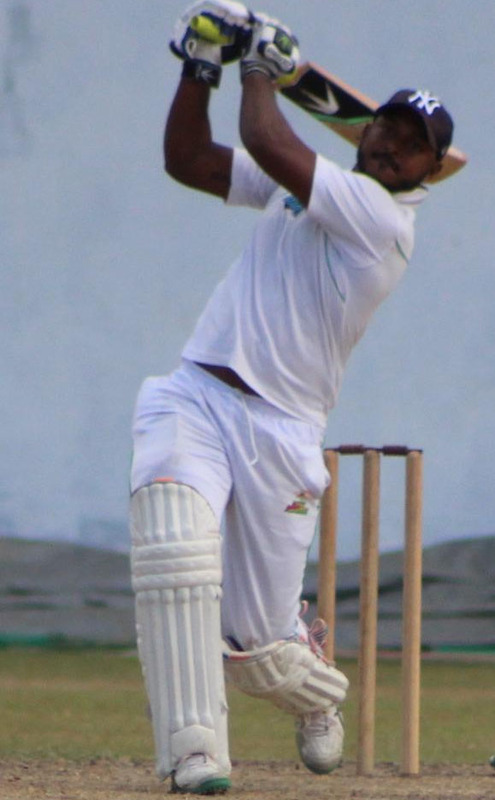 Hemraj, who is the more aggressive of the two, contributed 79 to the partnership, smashing nine fours and four sixes while the usually sedate Chanderpaul, just rotated the strike and watched his partner go. The partnership, however, like any new relationship, had its teething problems one of which sadly resulted in Hemraj being run – out for 79. Stabroek Sports caught up with the two players and questioned them about their undeniable chemistry and was surprised to find out that it was formed from their friendship off the field. “Yeah, I know Hemmy (Hemraj) from way back. 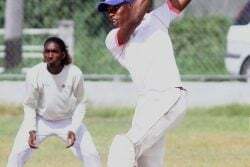 We played together at Everest and spent a lot of time together at the Under – 19 level so that helps us to get along very well,” Chanderpaul said. “Both of us trying to get some runs and we got a century stand in this game so the partnership is going quite well,” he added. Hemraj sang from the same song sheet and showing their were thinking alike even though they were interviewed separately. 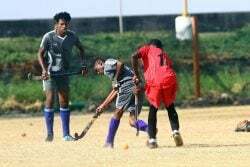 “Yeah, we came a long way playing together at the Under – 15, 19 so the communication and everything else in the middle is good,” Hemraj, who is not a genuine opener said commenting on the newly formed nucleus. Both men expressed their desire to continue their good form while forming a new foundation at the top of the order.